Today was, very much, another type orientated day. A little bit of sketch book work, followed up by some illustrator to smooth off those curves and realise the sketches in digital form. I’ve noticed a large improvement in my ability to do quick sketches of letter forms (primarily the letter “a”) just to get my thoughts down onto the page. So far all my designs have been based around Sans-serif style. 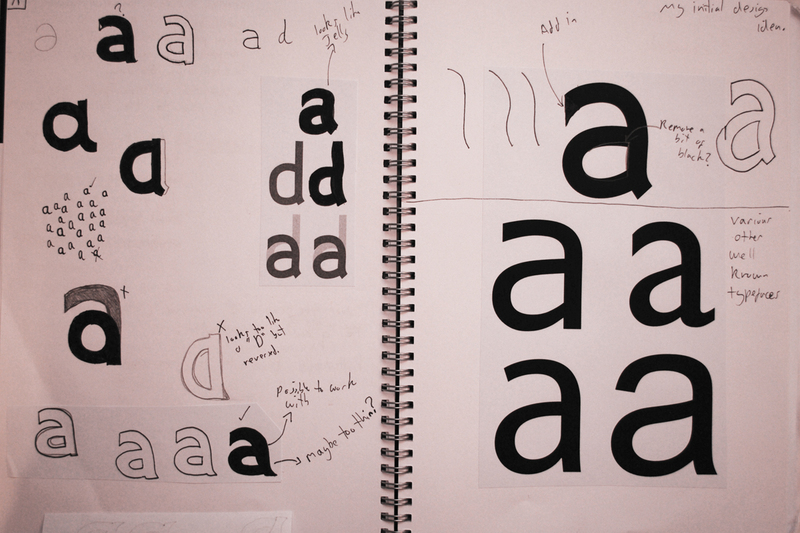 Although over the weekend I’m going to take my exploration into different letters and some serif/script based work. Hopefully this will open some ideas up. Something else that is in need of some exploration is my symbols. Once I have developed the typography experiments a little further I shall be looking into how i can match type up with symbols. 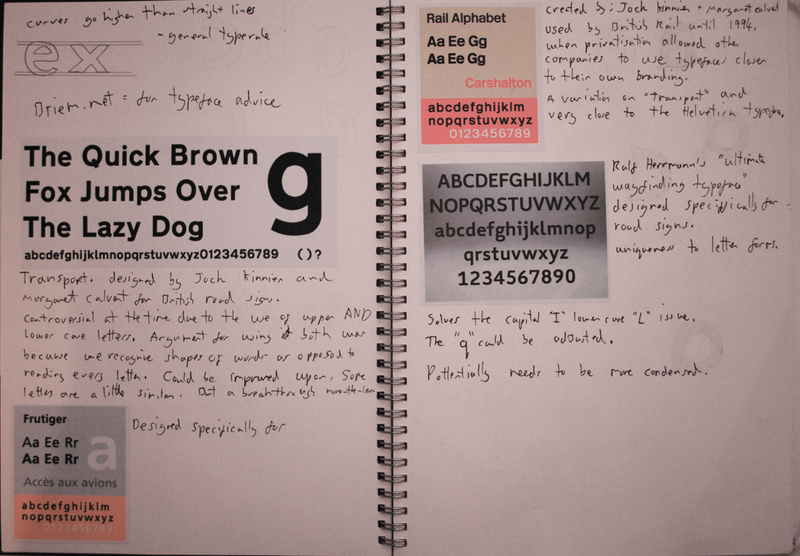 First up, one of my research pages, looking into current wayfinding typefaces and how they are formed. Secondly, my first page of sketches. 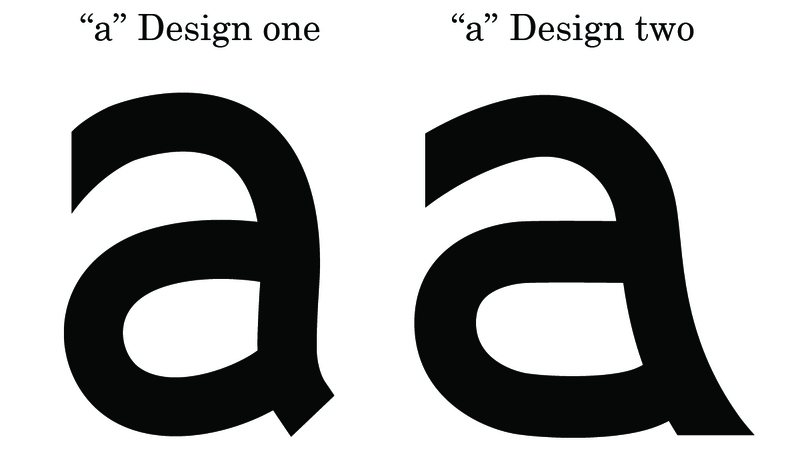 On the right the top letter is the one I designed, compared to the four below which consist of Arial, Gill sans and Helvetica. The next series of images are just the stages I used whilst on the computer to develop my letter form. 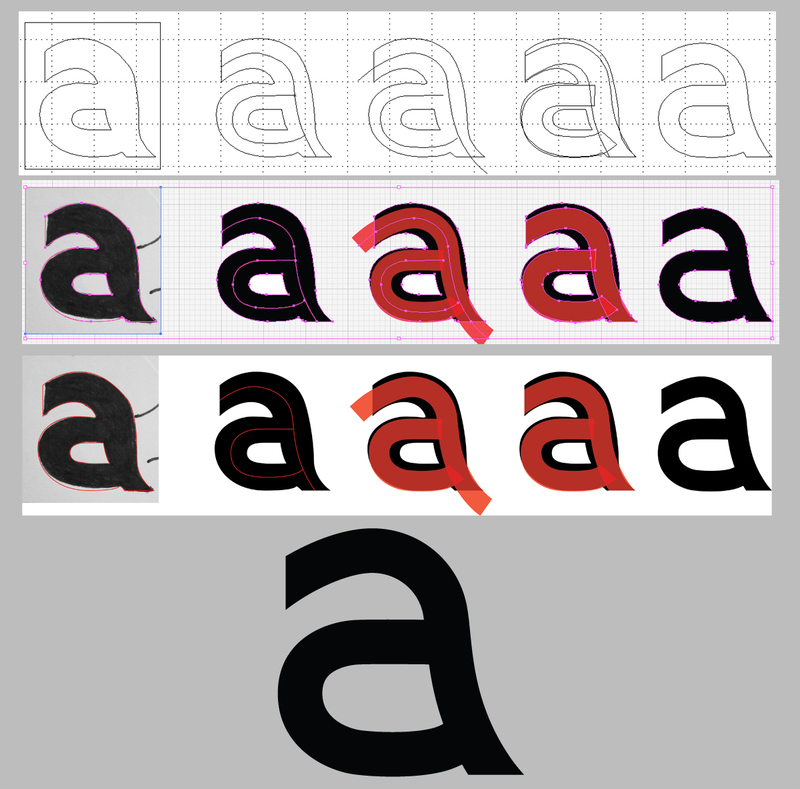 You can also see how my latest design for an “a” holds up against my initial design. I think the old version is possibly better for wayfinding due to it’s condensed nature. I feel that the second “a” has a little more charm to it. It still needs a little work on it to sort out some of the edges which are perhaps a little too straight, but it is coming along. The hardest thing I have found is matching up smaller letters with the larger ones such as “d” and “b”. 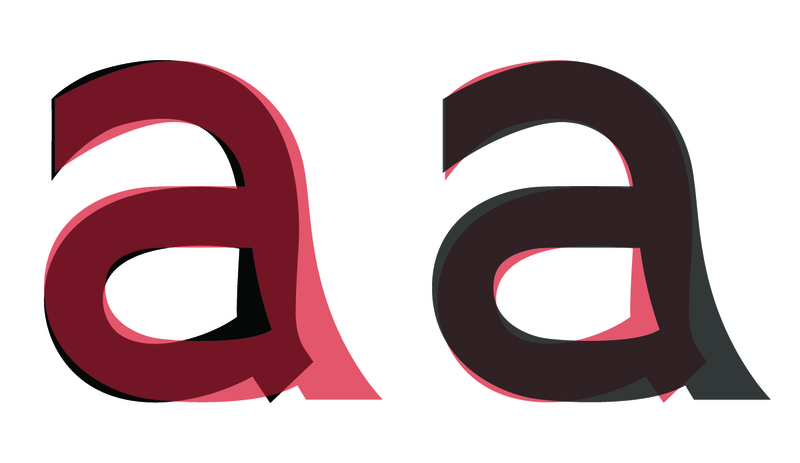 The new version, I believe, looks a little more like an “a” but I still think it takes up too much space to be much good for a signage system. It could potentially be better on longer signs, not so much on taller ones. What are your thoughts on the two variations?